This statement from Darwin is often quoted in discussions about his changing relationship with religion as he developed his theory of evolution. 150 years later, the ichneumonidae in question are taking a step towards shedding their demonic reputation by inspiring a new approach to neurosurgery. The ichneumonidae are a subfamily in possibly the largest group of animals in the world – the parasitoid wasps. Estimates of the total number of ichneumonidae species alone reach up to 100,000 – more than all the vertebrate species in the world. The wasps gain their name because they brutally kill their host species, as opposed to parasites which drain the resources of an organism without causing significant harm. Indeed, life histories of the parasitoid wasps are close to the stuff of nightmares. 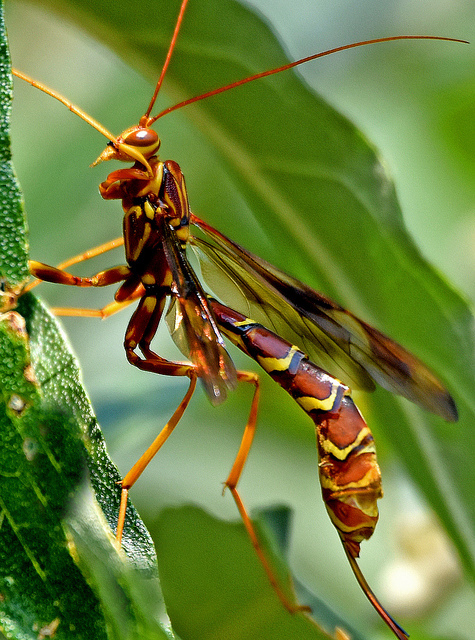 The extremely high diversity of ichneumonidae has arisen because each species of wasp has evolved to target just a single type of prey, and to do it as efficiently as possible. Each species is distinguished by its specialised weaponry or tactics that allow them to tackle their prey in their niche habitat or lifestyle. For example, Lasiochalcidia igiliensis’ chosen host is the antlion larva, a ferocious predator in its own right with vicious jaws that it uses against a range of arthropod prey, even spiders. The seemingly fearless L. igiliensis has been observed to bait the antlion larva, encouraging it to attack the wasps itself. At the point of attack, the wasp will use its powerful legs to prise the jaws of the antlion open, whilst simultaneously depositing an egg into the antlion larvae’s throat. There the egg will incubate, feeding on the antlion from the inside, until the time for metamorphosis comes. At this point the wasp will burst out from the antlion, not unlike the infamous scene from Alien. Strategies in other species include a fibrous mesh that traps air allowing the wasps to dive down and reach caddis fly in their underwater habitat, and a hormone invisibility cloak that allows the wasps to live within an ants nest, even up to adulthood, without detection. These guys are the Q Branch of the insect world. 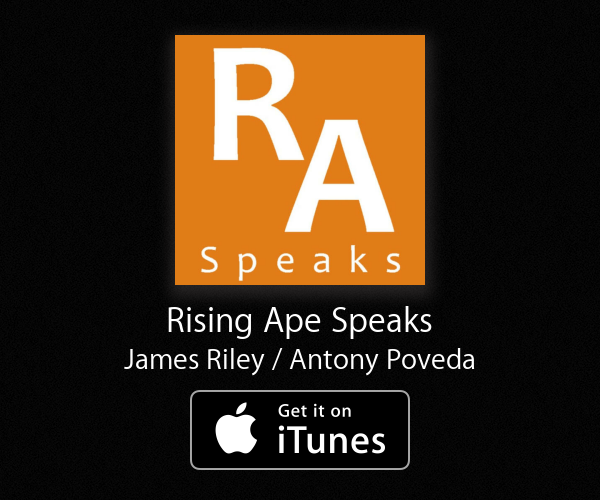 Here at Rising Ape we can vouch from experience that great ideas happen when you put a bunch of scientists from different backgrounds in a room, and maybe give them a bottle of wine. This seems to be what happened in the case of Dr Ferdinando Rodriguez y Baena, a medical engineer who found himself inspired by a serendipitous dinner party conversation with zoologist and biomimetics expert Julian Vincent. Vincent described how the parasitoid wasp species Megarhyssa macrurus, is able to use her egg laying tube to drill down into tree bark, where she deposits her eggs onto the larvae of the pidgeon tremaz horntail (how did this come up as a topic?! Over dessert?). This is possible thanks to a complex structure of three tubes that can bend and flex as the wasp drills, allowing her to position her eggs with pinpoint precision. This elegantly specialised structure gave Baena the idea for a new style of needle that mimics the ovipositor. The design allows surgeons to control and manoeuvre the needle inside the patient, navigating around sensitive and fragile parts of the brain. This minimally invasive surgical procedure could even allow surgeons to deliver drugs to very specific areas in the brain, potentially treating diseases such as brain tumours and Parkinson’s. By saving lives for a change, the ingenious ichneumonidae wasps could be about to improve their reputation. Who knows, even Darwin may have approved.